These beauties come from Tampere, Finland. Dammenberg is a chocolate company famous for making handmade chocos for everyone. That means, that they make allergen-free chocolates. Dammenberg’s products are entirely free of nuts, gluten, egg and GMO, and all are Halal certified. The company also makes soy-, milk- and sugar-free chocolates. With a product portfolio like that, including lots of specialties, it is no surprise that Dammenberg produces whisky chocolates too. They have an e-commerce shop, where you can order non-allergenic chocos. I bought my samples directly from the factory. 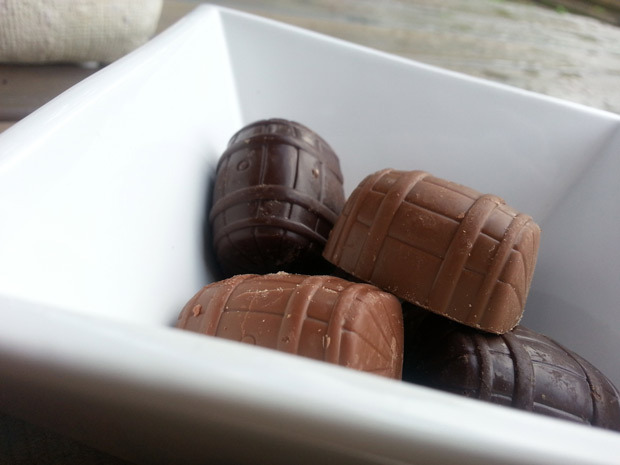 These special, hand made chocolate pralines were made using Laphroaig 10 year old single malt whisky. 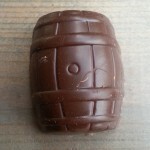 Dammenberg has both, milk and dark chocolates, but this review in question is about the dark whisky chocolate. Laphroaig whisky chocolates taste good, especially the dark ones seem to capture the Islay spirit well. Surely these chocolates suit well for people, who are not whisky enthusiasts. But if you happen to be a whisky fanatic, like I am, you ought to try them. Order yours directly from Finland or find another similar product nearby you, if you can. I’m not sure how much there are similar kind of chocolat products out there. Probably just a few. 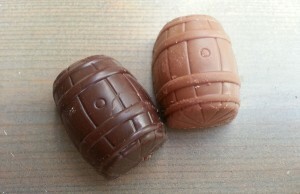 Dammenberg offers both, milk and dark whisky chocolate. Islay in a dark chocolate cover – a good idea! Check out the tasting notes below. These are my notes of the dark chocolate, you can read the milk chocolate review from here. Cover: The cover is great, the quality of this dark chocolate cover is good. Has some nice sweetness in it, but mainly it is like dark chocolate should be. Crunchy and strong with raw choco taste. Inside: Maritime feel is present in the taste. Punchy fudge with a sea salt taste. If you know, how Scottish Islands offer salty air breeze in their whiskies, you’ll find it here also. Otherwise the whisky notes are not so obvious. I prefer this dark version over the milky one, but both are good. 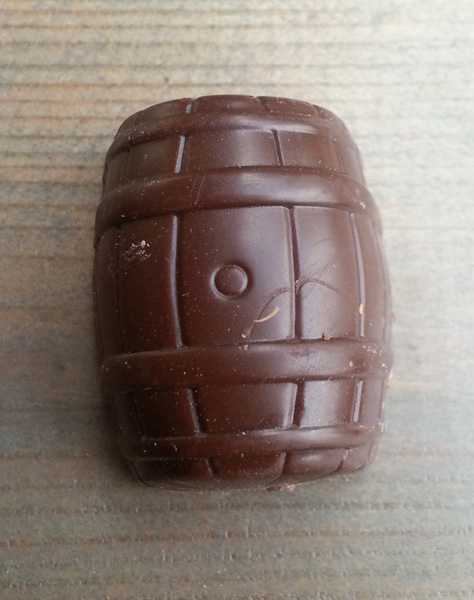 In the dark chocolate, Laphroaig really compliments the chocolate. If you feel like you haven’t had enough of whisky delicacy, check out my article about whisky fudge.